In its discussion of China, the strategy document zeroed in on Beijing’s ultimate goal of displacing the United States in the Indo-Pacific region and declaring East Asia its own sphere of influence. The key flashpoint for this competition has been the South China Sea, where Beijing has taken what were once small “maritime features” known as the Spratly Islands and created over 2,000 acres of land — or artificial islands — just off the coasts of the Philippines, Malaysia, and southern Vietnam. After making dubious claims on the disputed islands — to the chagrin of almost every one of its neighbors — China used its muscle to assert control over the area and gradually militarize the islands by building barracks, bunkers, hangars, underground fuel and water storage facilities, and an airstrip long enough to support most military aircraft. Although China was able to build up the islands quite quickly in 2014-2015, the United States did have options available to halt Beijing’s advance in the South China Sea. Today, however, the US has little choice but to accept the threat as it is and try to contain it, because rolling back China’s militarization of the islands without the use of force is, at this point, not feasible. The South China Sea and the broader Indo-Pacific, however, are only the beginning of China’s global ambitions. Indeed, Beijing has been busy actively pursuing its much-discussed “Belt and Road” initiative to invest infrastructure linking China by both land and sea to markets in Asia and Europe. 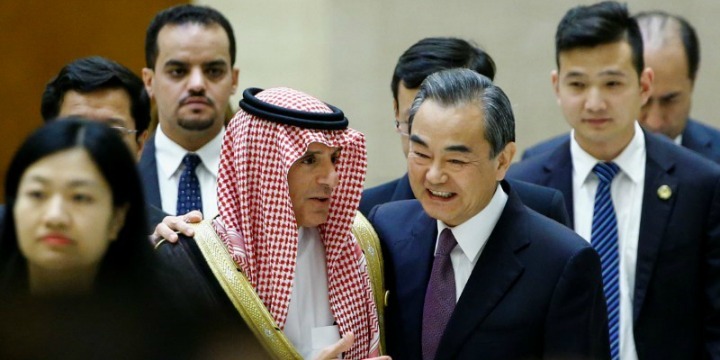 As part of these efforts, Chinese President Xi Jinping made a visit in July to the United Arab Emirates to sign a host of financial and trade agreements. With the UAE being both a major energy exporter and a hub for international trade, the Arab Gulf state is the gateway for about 60% of China’s exports to the Middle East. The region is a key factor in China’s efforts to revive the ancient overland Silk Road trade route and create a new sea equivalent. The UAE sits close to both routes. Just across the Arabian Peninsula, in what would be a key component of China’s sea route, Beijing established in 2017 its first overseas military base in Djibouti. This small African country sits at one of the most important maritime locations in the world: the Bab-el-Mandeb Strait, the key chokepoint connecting Asia and Europe. Ships bound for Europe pass through the narrow waterway between Djibouti and the southern tip of Yemen into the Red Sea and continue through the Suez Canal to the Mediterranean. 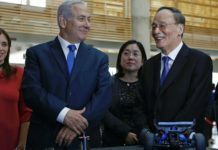 Finally, in what would be perhaps Beijing’s most audacious move yet, it was reported this past week that the Chinese ambassador to Syria offered his country’s assistance to the regime of Bashar al-Assad. 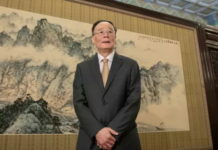 The ambassador said that China is willing to participate “in some way alongside the Syrian army,” as it looks to finish off the Sunni opposition. To be sure, the seven-year conflict in Syria has presented plenty of problems — at both the strategic and humanitarian levels — for the US and its allies. The situation was made drastically more difficult when the US allowed one of its fiercest competitors, Russia, to intervene on behalf of the Assad regime. But the potential entrance of America’s other ostensible global competitor into the Syrian arena is hard to fathom. While the Russian intervention did deal a devastating blow to American interests in the region, it’s hardly the first time that Moscow and the West have squared off in great power competition in the Middle East. 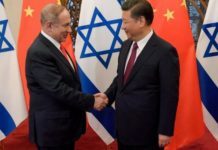 A Chinese presence in the region, on the other hand, is largely unprecedented, and would bring the US and its Mideast allies into uncharted waters.